Successfully Added Car AV + DVD Player - 7 Inch Touch Screen Display + Bluetooth to your Shopping Cart. 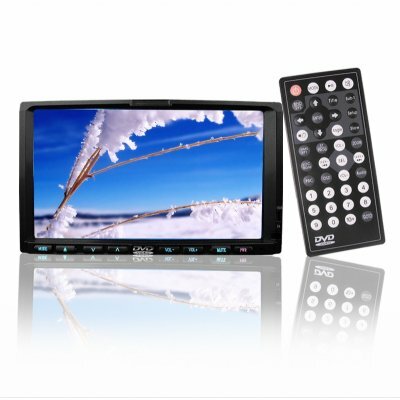 Two din car DVD player with a incredibly large 7 inch TFT touch screen display, and 2 AV OUT and one Video IN for connecting to other monitors and devices as well as being Bluetooth enabled. For the super low price that Chinavasion offers, you will be amazed at the varied impressive features such as a CDC compatibility for connecting a CD changer, a TV tuner for picking up analog TV signals, an SD memory card reader for directly playing digital media, a fully motorized front panel for adjusting the viewing angle, and more. A luxury item for your car, available direct from Chinese manufacturers at a price that cannot be beat..
qualitative little good, thank you.